If you are busy with life and behind in your cleaning – R&R Time can give you a hand – we will get the whole house sparkling clean and make it easier for you to maintain on your own. 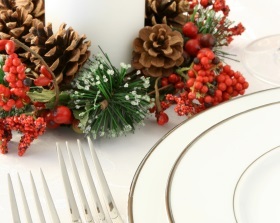 Let R&R Time make holiday entertaining less stressful and more joyful. Do the fun stuff – decorating and menu design; let us do the clean up – before AND after. There are some tasks you just do not want, nor have time, to do. No worries, R&R Time will do them for you! Some may be just right for you – others, maybe not – either way, you have choices.